5 star rated Los Angeles Excursion on TripAdvisor, Yahoo, and Google!! At the Warner Bros studio guests will explore great indoor and outdoor sets, picture cars from the famous movies “Batman”, show “Friends”, “The Big Bang Theory”, “The Ellen DeGeneres” show and more. If time allows, on the way you will visit also world famous Hollywood Sign, Hollywood Walk of Fame, Grumman’s Chinese Theater, Dolby Theatre (home of the Oscar awards). After the Warner bros studio tour Los Angeles, our LA tour guide will bring you back to LAX for the continues journey to your destination. 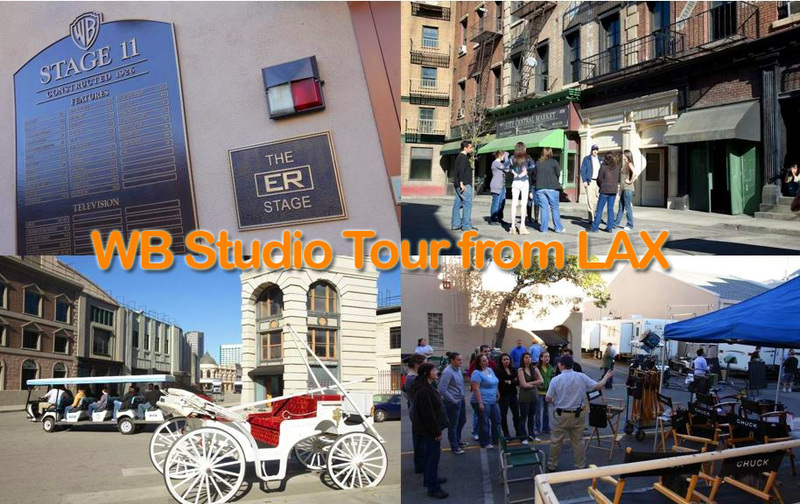 Reserve your WB LA tour package today to have a lot of fun during LAX layover. Your luggage will be safely stored on board our vehicle. *Drop off and pick up is available also at the Los Angeles World Cruise center in San Pedro, CA or Long Beach cruise terminal.